Themes and Plugins that are Easy to Use and ready for just about anything. Over 40,000 customers depend on our products to power their websites. Conquer Google’s new ranking algorithms and rise to the top. Our WordPress themes are optimized for SEO so you’ll stand out from the crowd. All of our WordPress themes and plugins come with features and usability functionalities that are very powerful yet simple to use. To provide maximum compatibility with WordPress and some plugins, our WordPress themes and plugins are routinely updated. 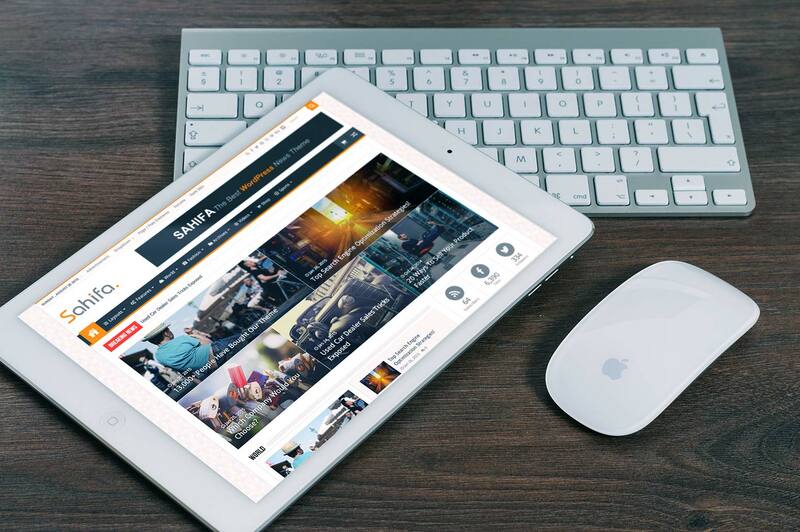 Our WordPress themes and plugins are responsive all the way from desktop to mobile, Display your site perfectly no matter the device. Friendly, knowledgeable staff are just a click away to help you solve challenges, answer questions and find solutions. Trusted by over 20K satisfied customers. 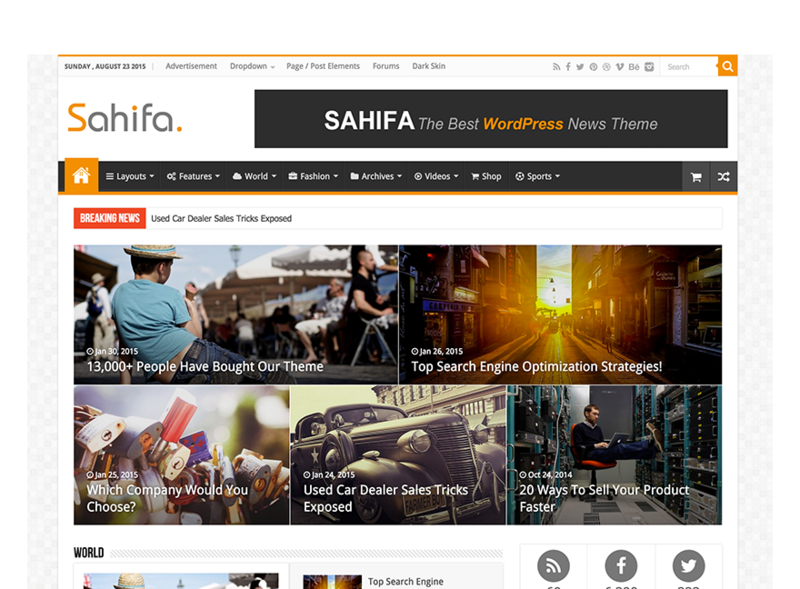 Loaded with the latest and most useful functionality, Sahifa WordPress theme combines practical elegance with powerful features. 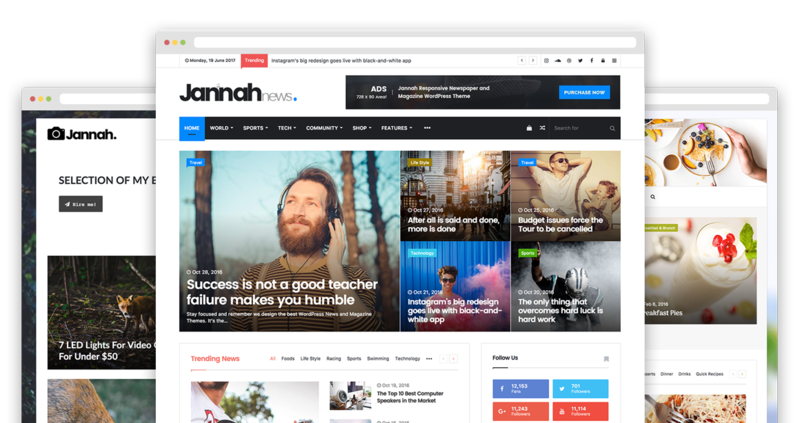 the versatile and customizable theme continues to be a resoundingly popular choice for blogs, news, and magazines websites. 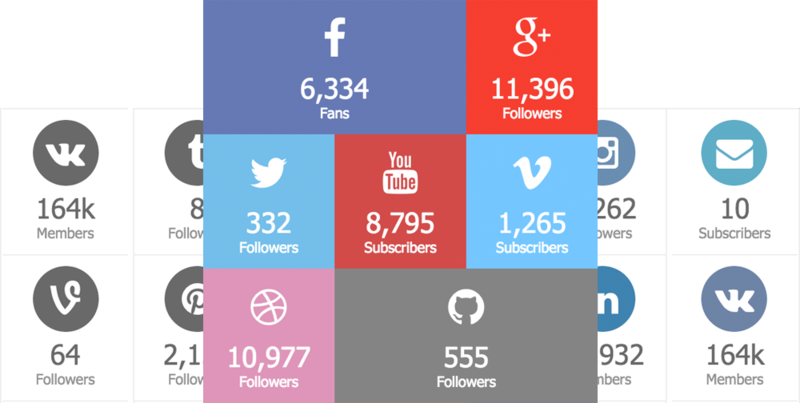 Show the latest counts of your Followers from your Favorite Social Networks and encourage more users to join your network. 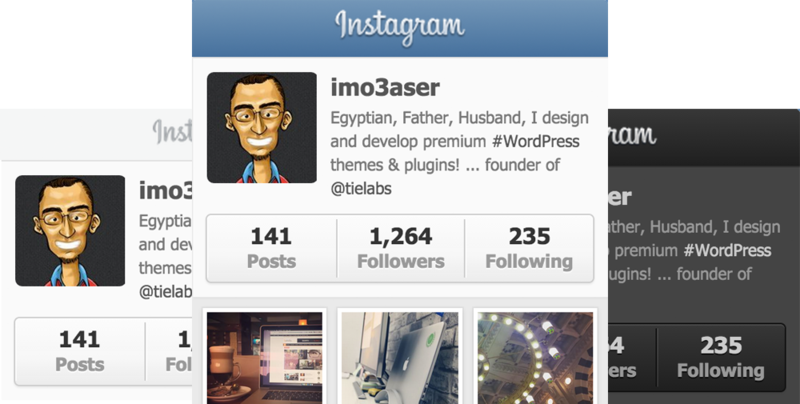 User-friendly Plugin for displaying clean, customizable, and responsive user or hashtag Instagram feeds on your website. I am really enjoying this theme. It looks great on all devices and is easy to use. The most important thing is that it looks great! Really impressed with the design, ease of use, streamlined admin section, quality of code and excellent support. All across the board, I think it’s hands down the best I’ve downloaded from themeforest – ever. Bravo! I love this theme! It’s so easy to set up as well as to customize. I love the features included in the theme, which mean I’ve been able to eliminate a few plug-ins. The customer support is fantastic. Highly recommended. From customizability to customer support to updates, this theme is just perfect. Beautiful, clean, sleek, modern theme with tons of customizability options. Just wow. Incredibly easy to use and I’ve used most of the top selling themes. Highly recommend this! By far the best wordpress template i’ve ever had to work with – awesome job!